Residential - Whether you've been thinking about room additions, home repairs, remodeling or any other kind of home improvement, we're confident that we've got what it takes to get your project done right. As a top of the line general contractor we take a lot of pride in helping you to increase the beauty and value of your house, and in helping you to get closer and closer to your dream home with every new addition or remodeling effort. Commercial - As an industry leading general contractor we take a lot of pride in offering the absolute best in commercial construction services. When it comes to renovating, remodeling, repairing or improving your hotel, restaurant, apartment building, office space, retail store or other business, we've got everything that it takes to deliver results that perform. Our services are perfect for all of your general contracting needs. Our company prides ourself on highlighting your rooms, windows and entrance ways by accenting their borders with stone moldings. Our oversized molding can be used in both interior and exterior applications. You can choose various application techniques to create window or door surrounds, crown moldings, or simple fireplace surrounds. 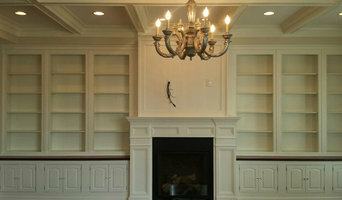 Utilize our moldings to improve your properties’ detail and create a visual impact. Do not allow yourself to be limited by weight restrictions, our products are lightweight and easy to install. We work hand in hand with our sister companies The Stucco Doctor, Stucco America, Extravagant Exterior Designs and Panoptic Savant Consulting to fulfill all your creative construction needs. We can help you achieve your dreams. 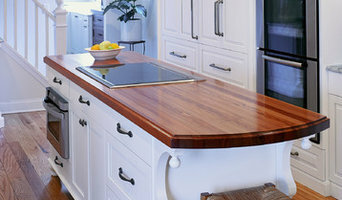 Bryan Construction, Cabinetry & Woodwork, Inc.
Bryan Construction, Inc. is a premier building company focusing on the highest quality of workmanship and customer satisfaction. Our company is built on a rock solid foundation with its owner David B. Soriano having over 30 years of hands on construction experience ranging from small renovations to large multimillion dollar projects. His commitment to EXCELLENCE radiates through every aspect of his building process. Bryan's accomplishments include everything from land development and improvements on up to completion and delivery of the finished product. On the residential side we specialize in projects such as custom homes, renovations, additions, alterations, stonework, and outdoor living spaces. We have a great deal of Pride and Passion for our Barn and Farmhouse Restoration projects, and consider it an Honor to be a part of the preservation of our history. Outdoor Living projects such as blue stone patios, fireplaces, outdoor kitchens, and pool houses are a great way to enhance your back yard. Commercially speaking, we offer expertise in new construction, retail fit outs and renovations. With the opening of Bryan Cabinetry & Woodwork, we offer Custom Cabinetry for Kitchens, Entertainment Rooms, and Built-ins, specializing in Old World Charm. At Bryan Construction, our philosophy is simple....Regardless of the project, it is our goal to make our client's building experience an ENJOYABLE one. We encourage their participation in decision making and the details, while we create their dream come true as a TEAM. Every single one of our customers is considered our lifeline to the future and our INTEGRITY, QUALITY and SERVICE are a testament to our COMMITMENT! At Most Wanted Home Renovations, our goal is to not only help you design and build your dream home, but to make the process easy and enjoyable for you. We are a full-service remodeling company, your one stop shop with a wide range of experience. We can help you with all phases of home additions, upgrades and remodeling: finding/procuring the best products materials at the best price, working indefinitely with our customers until the job is complete. At Most Wanted we are dedicated to providing exceptional quality at the lowest rate. We provide a 100% labor free program for selected citizens that are either disabled or indigent; that cannot afford necessary upgrades to their home. Please do not hesitate to inquire about this special program if you meet the criteria. RUDLOFF Custom Builders has won Best of Houzz for Customer Service in 2014, 2015, 2016, 2017 and 2019. We also were voted Best of Design 2016, 2017, 2018, 2019, which only 2% of professionals receive. Rudloff Custom Builders has been featured on Houzz in their Kitchen of the Week, What to Know About Using Reclaimed Wood in the Kitchen as well as included in their Bathroom WorkBook article. We are a full service, certified remodeling company that covers all of the Philadelphia suburban area. This business, like most others, developed from a friendship of young entrepreneurs who wanted to make a difference in their clients’ lives, one household at a time. This relationship between partners is much more than a friendship. Edward and Stephen Rudloff are brothers who have renovated and built custom homes together paying close attention to detail. They are carpenters by trade and understand concept and execution. RUDLOFF CUSTOM BUILDERS will provide services for you with the highest level of professionalism, quality, detail, punctuality and craftsmanship, every step of the way along our journey together. Specializing in residential construction allows us to connect with our clients early on in the design phase to ensure that every detail is captured as you imagined. One stop shopping is essentially what you will receive with RUDLOFF CUSTOM BUILDERS from design of your project to the construction of your dreams, executed by on-site project managers and skilled craftsmen. Our concept, envision our client’s ideas and make them a reality. Our mission: CREATING LIFETIME RELATIONSHIPS BUILT ON TRUST AND INTEGRITY. *Authorized StarMark Cabinetry Dealer* We perform quality residential remodeling and building projects ranging from $10,000 to $1,000,000+. Our crew of skilled professionals is able to take a project from concept to completion with the utmost quality and care. Owner Dan Flansburg strives to walk the client through the sometimes daunting task of remodeling. Communication is key: our goal is to clearly, skillfully, and respectfully coordinate and execute every project. These principles are applied to small as well as large projects. A proven track record and list of satisfied clients is always on hand to ensure potential clients that we have the skill and capacity to complete quality projects on time and within a reasonable budget. We build to last. Beaver Building & Remodeling has been helping homeowners since 1985. Most of our customers are repeat customers. What does it mean to you? We know what will happen to your home in 35 years, and we make sure that avoidable issues do not arise. We'll make you happy, so you, your family and friends will stay with our business. Beaver Building & Remodeling does not help with projects, it gains your trust, and all your future projects! 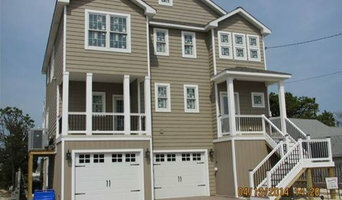 Cedars Construction Company has the most trusted professionals for the job you are looking for. We offer a wealth of knowledge and expertise in the construction industry with a background of almost 40 years stemming anywhere from the Excavation and Improvements of Developments, Construction of New Homes, Home Maintenance and Improvements, to Land Development and Consulting. We have extensive experience in Zoning and have the ability to create a higher value on vacant land that could require zoning relief. We are fully insured and licensed in the state of Pennsylvania, providing services in the Greater Philadelphia area.